Lightly coat 14-inch pizza pan with cooking spray. Press dough into pizza pan. Cook apples in apple juice until tender. Drain off juice and reserve. 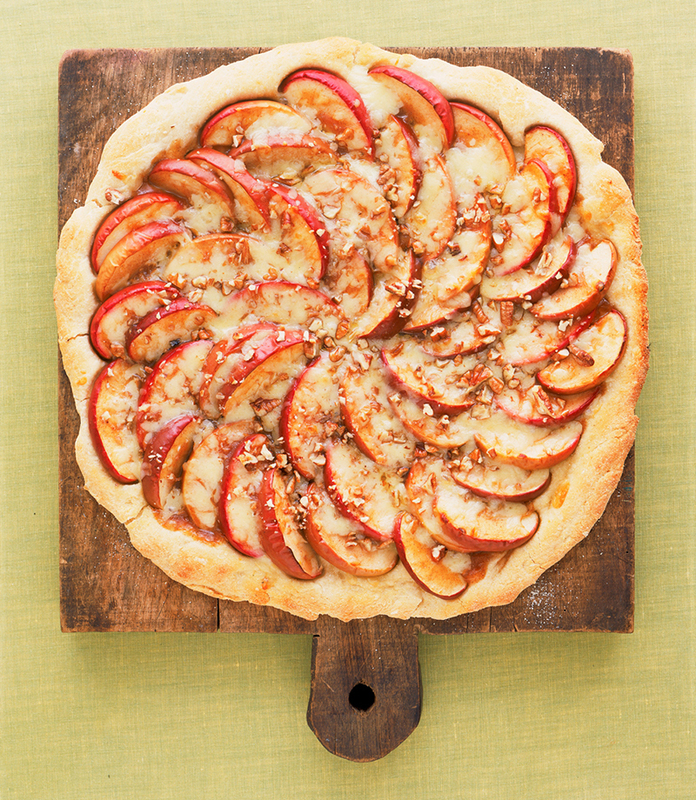 Place apple slices on dough. Dissolve cornstarch in apple juice, cinnamon, and honey. Cook over medium heat until clear. Spread sauce over apples. Sprinkle pecans on top. Top with cheese. Bake in a 425-degree oven for 15-20 minutes.